Permeability (µ, mu) — the ability of a material to store or focus magnetic energy; the degree to which a material becomes magnetized by an applied magnetic field. Coercivity — the intensity of the magnetic field required to de-magnetize material after it has been magnetized as much as possible. A material’s permeability is determined by the way its electrons respond to a magnetic field. If there are electrons available to line up their spins to reinforce the magnetic field, the material has a high permeability and will concentrate the field. Metals like iron, zinc, and cobalt have plenty of those electrons and so have high permeabilities. Non-metals like carbon or oxygen don’t, and so their permeability is low. Permeability is usually given as a relative value, with air having a value of 1. 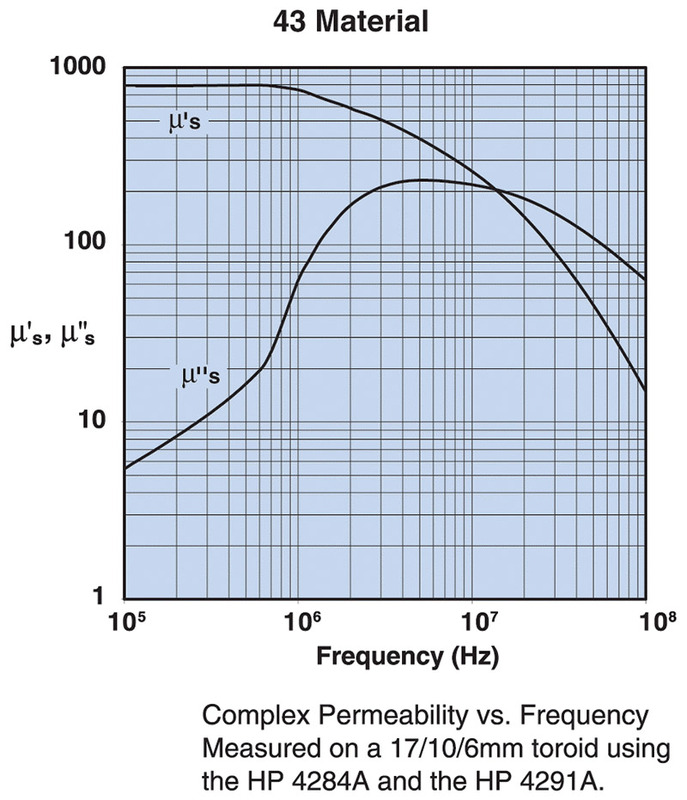 Ferrites can have relative permeabilities from 10-20 to as high as 10,000! You can observe the effect of permeability by winding a wire coil of 20 turns or so around a wooden pencil laid on a piece of paper. Sprinkle some iron filings on the paper and run an amp or so of current through the wire. You’ll see the filings respond to the magnetic field. Mixes of metal oxide powders and various binding agents are placed into a mold, heated, and squeezed until the ceramic is created. This process is called sintering. If the ferrite is to be made into a magnet, the hot ferrite may be magnetized so that when it cools, the magnetism is retained. Ferrites used in electronics are not magnetized, however. 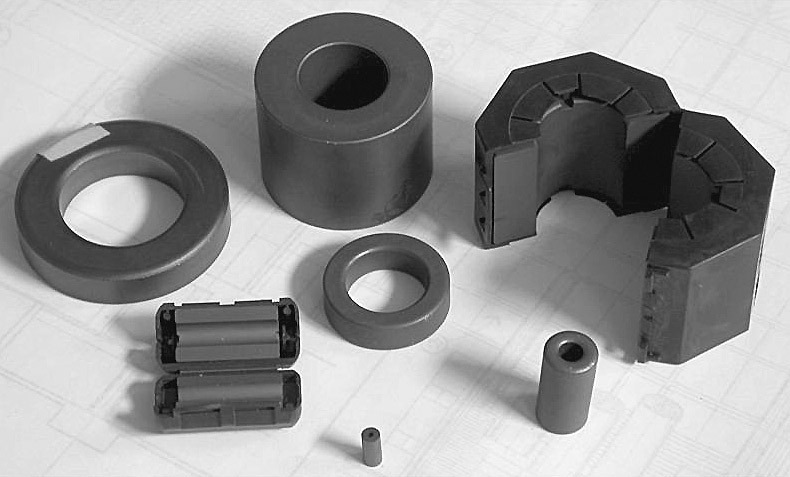 The name ferrite applies to many, many different types of material — each having properties tailored to various frequency ranges and applications. Because each different type of material is made from specific combinations of oxides, it is referred to as a mix; for example, a Type 43 mix or a Type 75 mix. Fair-Rite (see References) is a leading manufacturer of ferrites used in electronics, so the industry has more or less standardized on Fair-Rite’s mix designations. Keep in mind there is no guarantee that a Type 31 mix from company A is exactly the same as from company B. They may be close, but check the spec sheets if you have a critical application. Download the latest Fair-Rite catalog for a lot more good information. 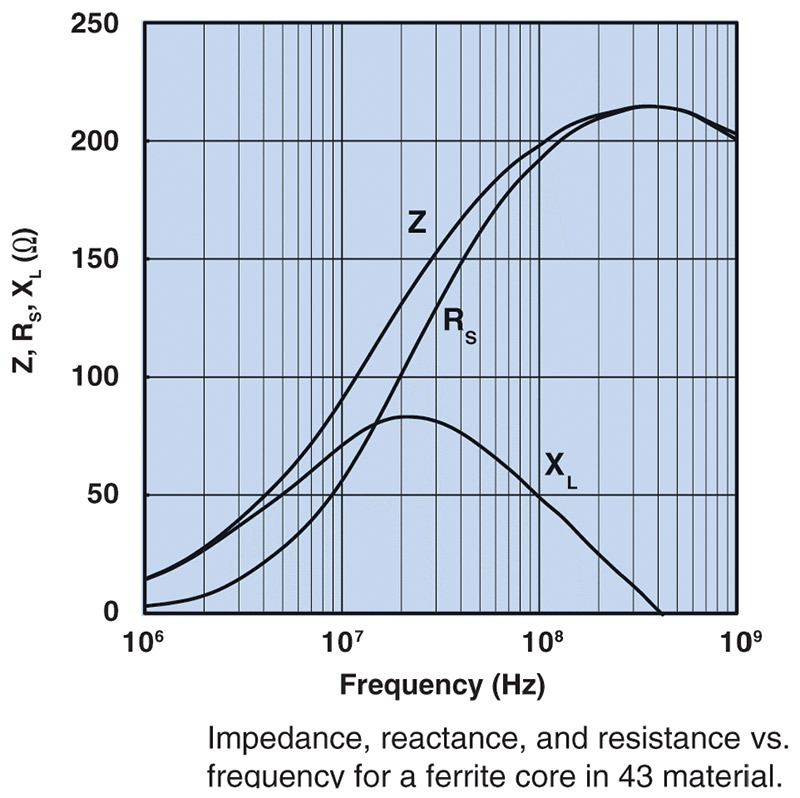 Figure 1 shows the relative impedance versus frequency behavior of the common Type 43 mix. FIGURE 1. An inductor with a ferrite core has properties that change with frequency. 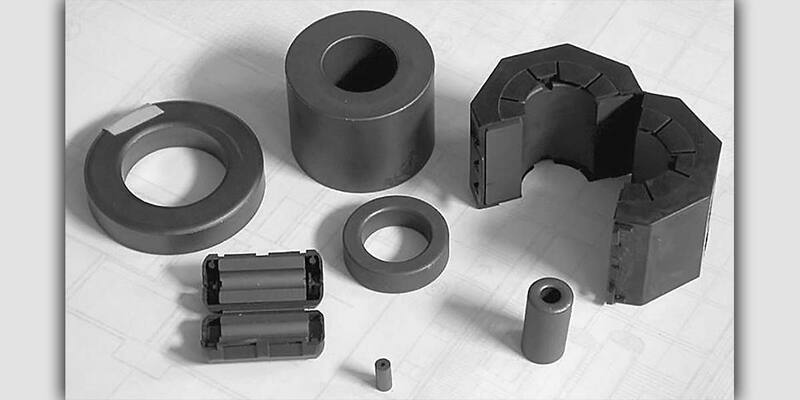 The type of ferrite material is chosen to give the desired performance over the intended frequency range. Photo courtesy of the Fair-Rite Corporation. FIGURE 2. A simple equivalent circuit for inductors with ferrite cores. jXS represents the lossless inductive reactance and RS represents resistive loss. 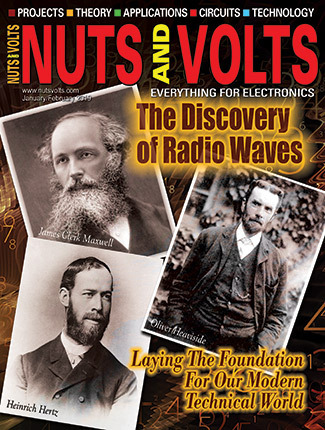 Both jXS and RS change with frequency. You can see that a ferrite core makes the inductor look like different components at different frequencies. At low frequencies around 1 MHz or less, the impedance is dominated by the reactance XL, so the ferrite is storing and releasing energy just like a regular inductor. The resistive part of the impedance, RS, rises rapidly and exceeds the reactance just below 2 MHz. The ferrite core inductor looks more and more like a resistor throughout the VHF region, with a peak impedance (Z) of about 210 Ω around 300 MHz. In the inductive region, each ferrite mix has a different inductance-per-turn constant, AL, which is given in units of mH or µH per 100 or 1,000 turns. The formula may also vary with the shape of the ferrite core on which the inductor is wound. Be sure you use the value of AL and the formula given by the ferrite’s vendor to calculate the number of turns or you may be greatly surprised! Note that each pass of a wire or cable through a ferrite counts as a turn. It doesn’t matter if a complete loop is made, just that the path goes through the core. Another way of looking at the ferrite’s frequency-dependent characteristics is to look at its permeability versus frequency. We get surprises here, too! There are two types of permeability shown in this graph. One type of permeability, µ’S, represents ordinary inductance, LS — the material’s ability to store and return magnetic energy to the electronic circuit. The other type of permeability, µ’’S, describes the losses in the ferrite, just like resistance, RS, in the ferrite equivalent circuit. You can see for Type 43 material, µ’S dominates at low frequencies just like XL dominates in Figure 1. At higher frequencies, µ”S is the dominant factor. The composite permeability is actually a complex value: µ = µ’S + jµ”S. FIGURE 3. The permeability of ferrite has two components: µ’s represents the lossless permeability for energy storage, while µ’’s represents the lossy permeability. Photo courtesy of the Fair-Rite Corporation. Fair-Rite makes quite a number of mixes, and Table 1 shows typical uses and permeability of several common ones. Note — Data from Fair-Rite catalog, 16th edition. TABLE 1. Common Ferrite Mixes and Permeabilities. Not surprisingly, a mix optimized for use as an inductive product is designed to store and release magnetic energy with low losses. This would be the kind of material you would use in a switchmode power supply inductor. 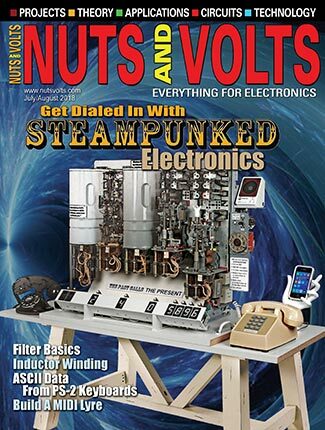 When the switch in the supply’s circuit is on, current flows through the inductor, “charging” it with magnetic energy. When the switch is turned off, the stored energy is returned to the circuit in the form of current. In this application, you want µ’S to be the dominant type of permeability at the switching frequency. Another inductive application in radio would be as an output transformer in an amplifier circuit or as an impedance transformer for matching the impedances of an antenna and a feed line. On the other hand, why would you want a high loss component? In order to suppress or get rid of radio frequency energy, you don’t want that! There are two reasons for wanting to suppress EMI — keeping RF out of something it shouldn’t get into and keeping RF inside something it shouldn’t get out of. RF is like a cat — always on the wrong side of the door. Hams experience both quite frequently. A strong transmitted signal can easily be picked up by a cable and conveyed to a susceptible piece of equipment. Conversely, microprocessor or network gear or a cheaply made switching supply can leak RF signals through cable connections that are then radiated and cause interference themselves. Both situations are common. Powdered iron cores have a much lower permeability than ferrite, but can also handle the higher levels of magnetic flux at high power without saturating. Saturating distorts the applied waveform, creates spurious harmonics and other unwanted signals, and can seriously over-stress a transistor. For transmitting and other high power applications, powdered-iron or powdered-permalloy cores are the usual choice. 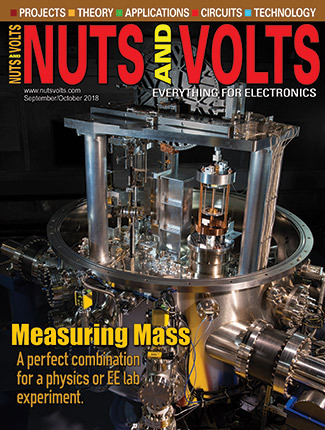 The free paper, “A Critical Comparison of Ferrites with Other Magnetic Materials” — an excellent overview of different magnetic materials from Magnetics — is a must-read if you want to know the details. 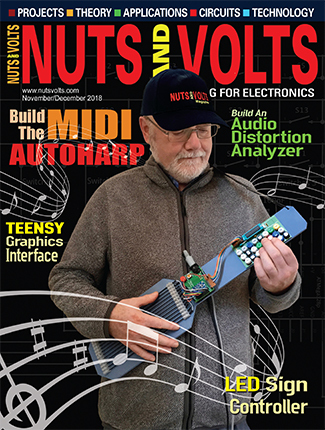 We’ll actually cover the ways ferrite is used to manage RF in the next Ham’s Wireless Workbench but, for now, let’s consider why a lossy material is useful. Let’s say you have a shielded audio cable picking up a strong local signal — a ham or CB transmission, a paging or dispatch transmitter, or even a nearby TV or FM station’s broadcast. So far, so good. But that doesn’t really get rid of the unwanted current; it just re-directs it somewhere else. If the cable’s outer surface has a capacitive reactance, adding the inductive reactance in series with it might even reduce the overall reactance and let more current flow. Better by far to make the impedance resistive which dissipates the energy of the unwanted signal as heat. Thus, for EMI applications in which you are trying to get rid of RF energy entirely, a lossy material is preferable. Since ferrite’s permeability changes with frequency, you might find a mix with one frequency range at which it’s a great material for inductive energy storage, and another frequency range at which it makes a great energy dissipater. Just don’t get the two confused! Type 43 is one such material. Below 10 MHz, Fair-Rite recommends it for low power inductive uses while from 25-300 MHz, it’s a dandy EMI suppression material. In fact, most of the cores you find molded on data and audio/video cables use this mix. Ferrite cores come in three basic types like what you can see in Figure 4: toroids (rings); beads (cylindrical sleeves); and clamp-ons that snap together around a cable. FIGURE 4. Ferrite cores are available in several common sizes and shapes, ranging from tiny sleeve beads that slip over an individual wire to giant clamp-on cores that can be placed on power cables. Toroids have the advantage of there being no ends to the core, so the inductor’s magnetic field stays almost completely within the core — good for avoiding unwanted coupling and leaking of signals. What we usually think of as magnetic materials — zinc, iron, nickel — are ferromagnetic. These elements have unpaired electrons in the outer shell of atoms that line up with each other and stay lined up. They retain their magnetization once a field has been applied. Ferrimagnetic materials also have unpaired electrons but unlike the ferromagnetic materials, their electrons tend to line up opposing each other, so the resulting magnetic field is almost completely canceled out. So, here you are at the robotics or hamfest flea market and — what a deal! — a vendor has a big box of toroid cores labeled “Ferrite cores — 4/$1.” Sorry. Walk on by. Unless they are marked with the mix used to make the cores, you have no idea how they will behave. You don’t really even know if they are ferrite or powdered iron. Powdered iron cores are often painted certain colors if they are from Micrometals or Amidon, but unless you know the source don’t trust the color. This is a good reason for clearly labeling the cores you do buy for future reference. A piece of colored tape with the manufacturer and part number will identify the part exactly — no guessing. Or, write on the core with a pencil or permanent marker. Another good idea for your ferrites is to not throw them all in a box unprotected. Remember that ferrites are brittle — they chip and crack easily. Once broken, the core is probably unuseable. Put the core in a plastic bag or paper envelope for a little buffer against its fellow cores. Podcasts and videos are great ways to discover and explore technical topics — many are listed on the ARRL’s Tech Portal page at arrl.org/tech-portal. Circuit builders of any stripe will enjoy the Soldersmoke podcasts and videos archived at www.soldersmoke.com (check the blog link for the latest programs). Randy Hall K7AGE has a YouTube channel (www.youtube.com/user/K7AGE/videos) covering lots of technical and operating topics, plus interviews galore. Check out his visit to the WLW 500,000 watt transmitter site — those are the Big Dogs!